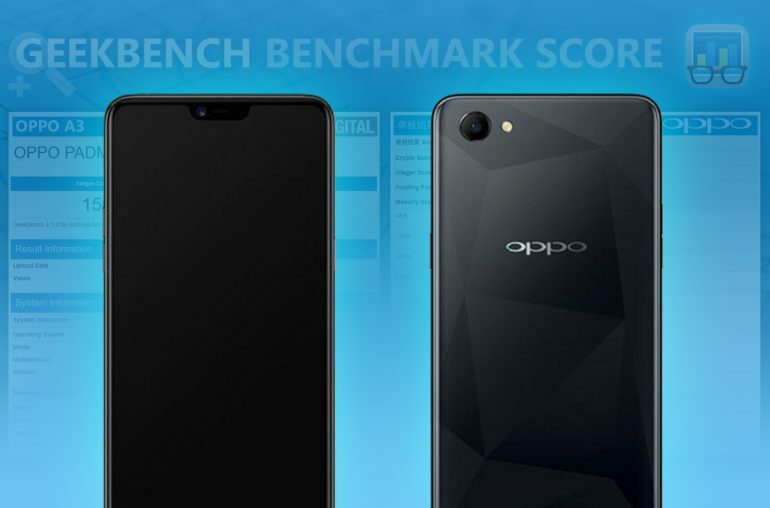 A benchmark of the midrange Oppo A3 smartphone just appeared on Geekbench, revealing more of its performance power. Oppo is expected to launch the A3 any time soon. A Chinese product page already appeared online for a while and several images of the device have already leaked. The midrange Android smartphone is identified as the Oppo PADM00. Today we discovered a Geekbench benchmark of this model. The Oppo A3 reached a benchmark score of 5755 in multi-core and 1507 in single-core. The smartphone runs on the latest Android 8.1.0 operating system and will be powered by a 1.99Ghz octa-core processor with 4GB of RAM. Most likely it will be MediaTek Helio P60. According to Dominik Bosnjak, editor of Android Headlines, the Oppo A3 sports a 6.2-inch screen with a 2280×1080 pixel resolution and an 18:9 image ratio. The smartphone also includes a notch. A leaked user manual further revealed the handset features a 16 megapixel rear camera and an 8 megapixel selfie camera. Furthermore, the Oppo A3 comes with a 3.300 mAh battery built-in and 128GB of internal memory. The Oppo A3 will be available in Knight Black, Soybean Meal, Blue, Stardust Silver and Pomegranate. The phone was shortly listed on the website of China Telecom for 1,999 yuan, something like $320 / €260 / £225. This is not the only phone Oppo is currently developing. It is believed the Chinese manufacturer will also launch a high-end phone in a couple of months from now, the Oppo Find 9. 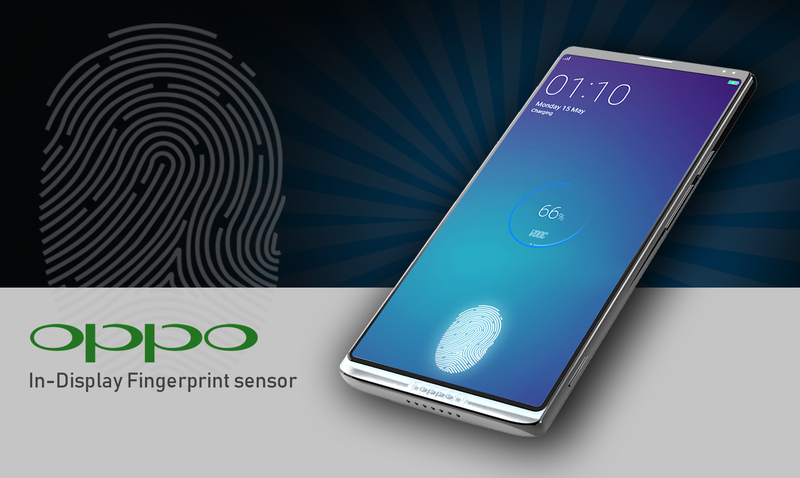 Recently we found a patent suggesting this Oppo smartphone may feature an on screen fingerprint scanner. 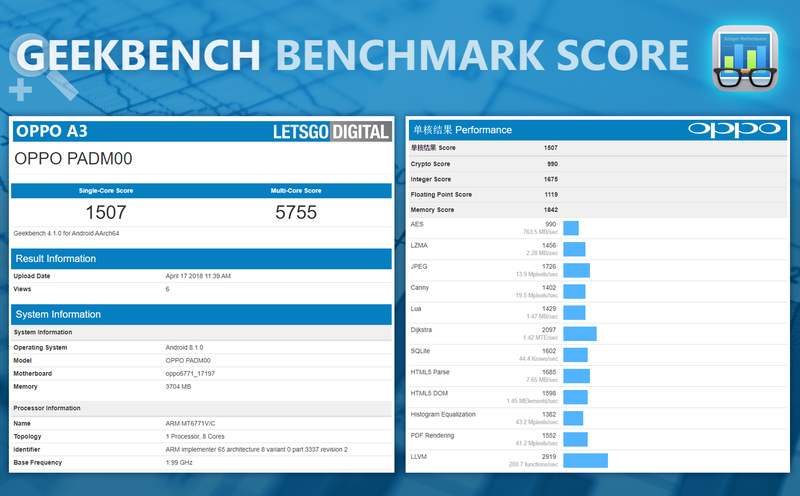 You can find the benchmark of the Oppo PADM00 here.